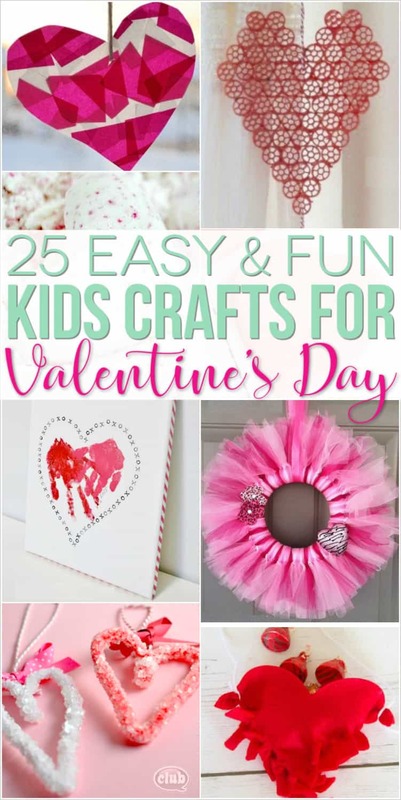 Valentine Crafts for Kids - 25 Easy Art and Craft Projects for All Ages! Valentine's Day is one of my favorite holidays. I'm not really into romance or cards or flowers, but I do love pink, hearts, and a fun occasion to tell the people in my life that I love them. Valentine's Day has also become a lot more fun since I became a mom. I love the sweet Valentine projects my kids have done over the years. 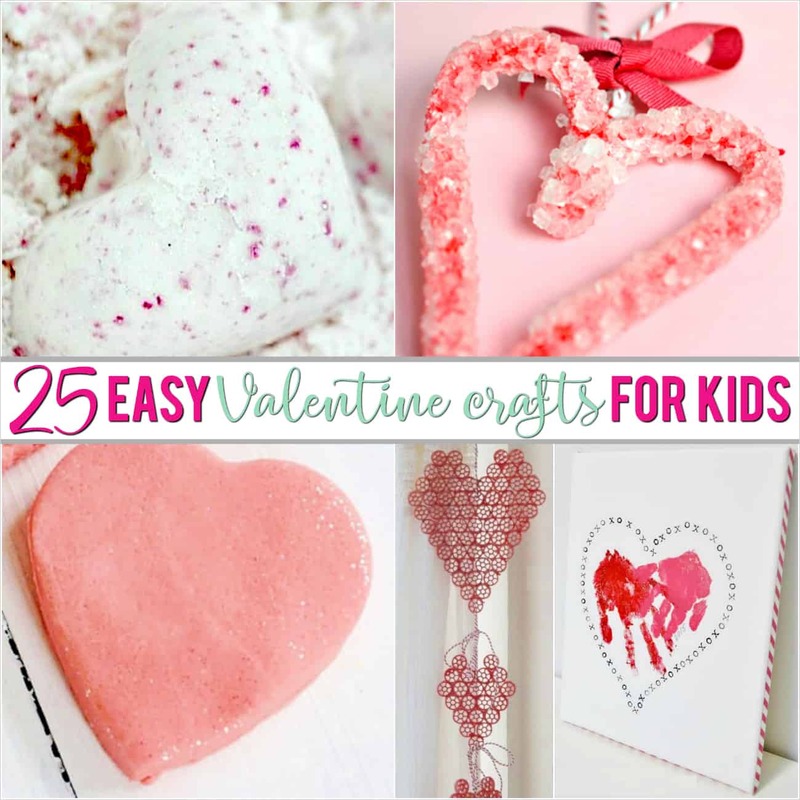 There's also no shortage of easy Valentine crafts for kids, so I thought I'd round up the best of them for you! Please share this article with 25 great Valentine Crafts for kids on Pinterest! Hover your mouse over the image below and click the red Pin This button to save it on Pinterest! Save those little handprints forever in a decoration you can easily leave out year-round! Burlap and Blue has all the directions for how they made this one. 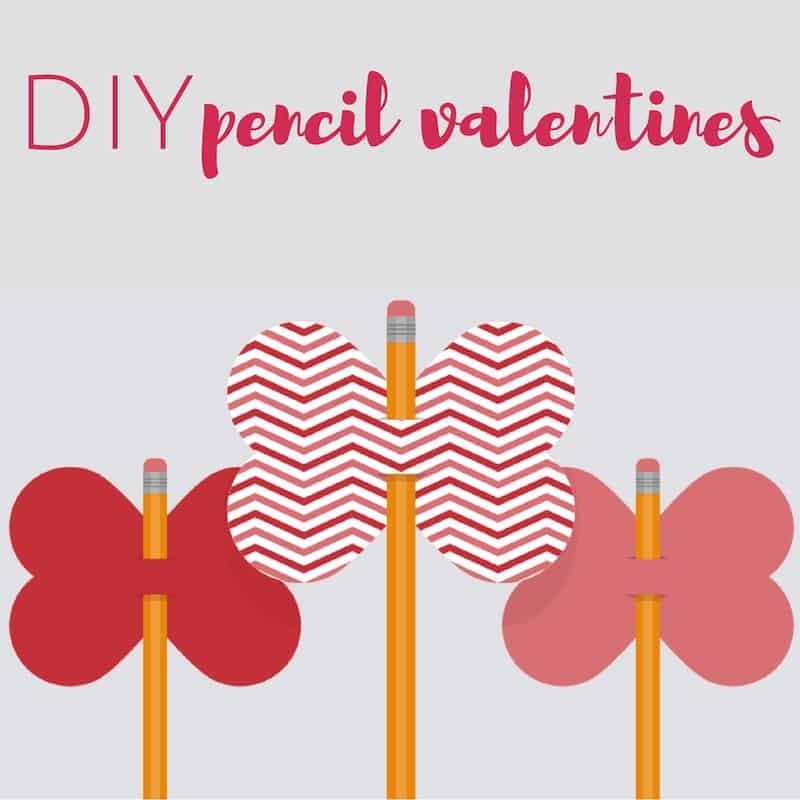 DIY pencil valentines can be printed in color, or the template can be used to cut out printed paper. You can have kids decorate their own by cutting out the templates on white paper. 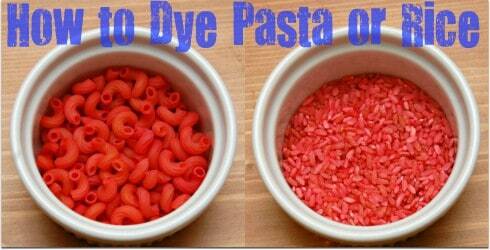 Learn how to dye pasta and rice red for some of the best Valentine crafts for kids! 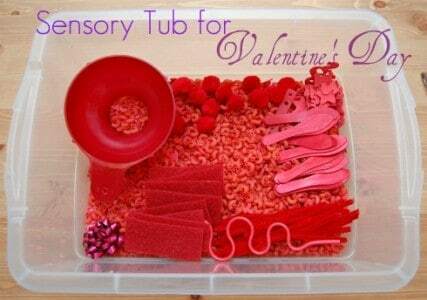 Use that dyed pasta and rice to have your kids make and play in a special Valentine's Day sensory tub. Any method of this Valentine craft for kids is going to be adorable! 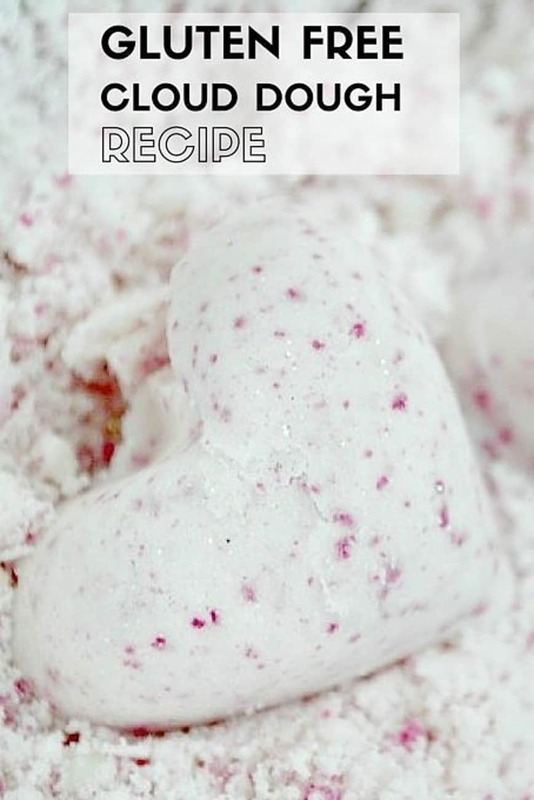 Have a gluten-free valentine's day with this Gluten-Free cloud dough! Instructions are here. This gorgeous Valentine's Day wreath looks bit complicated, doesn't it? Not true! 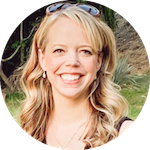 Take a look at Oh So Savvy Mom's instructions to see how simple it is. Even little kids can do it (with a bit of help)! 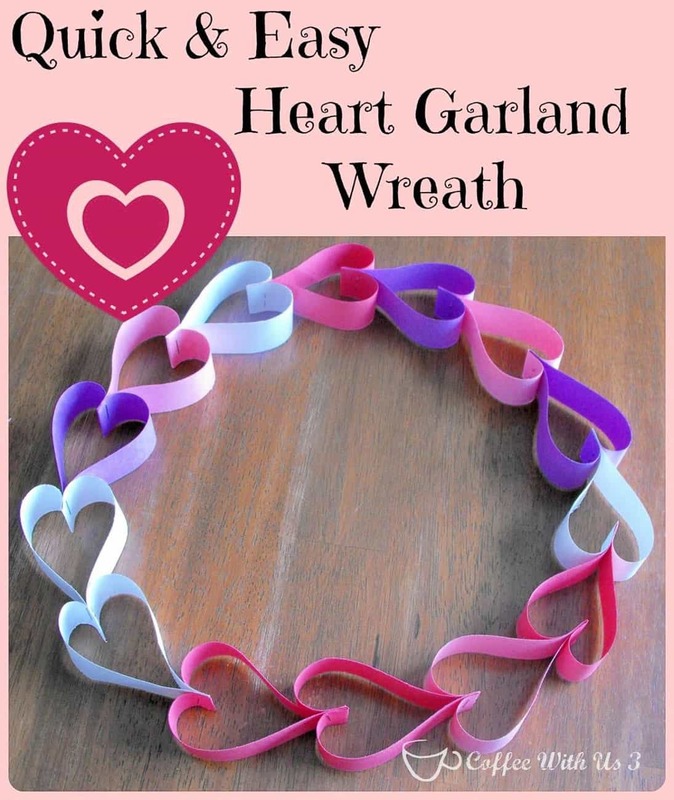 This Valentine's Day heart garland is so pretty I want to make it on my own! See instructions from Jinxy Kids here. 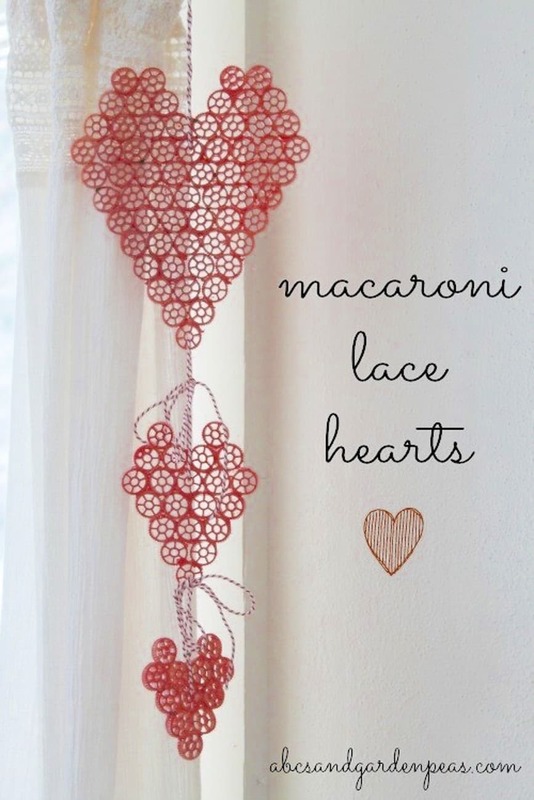 This is such a cute twist on Paper Heart Garland from Coffee with Us 3. It could be cute in all sorts of colors for different celebrations, too! 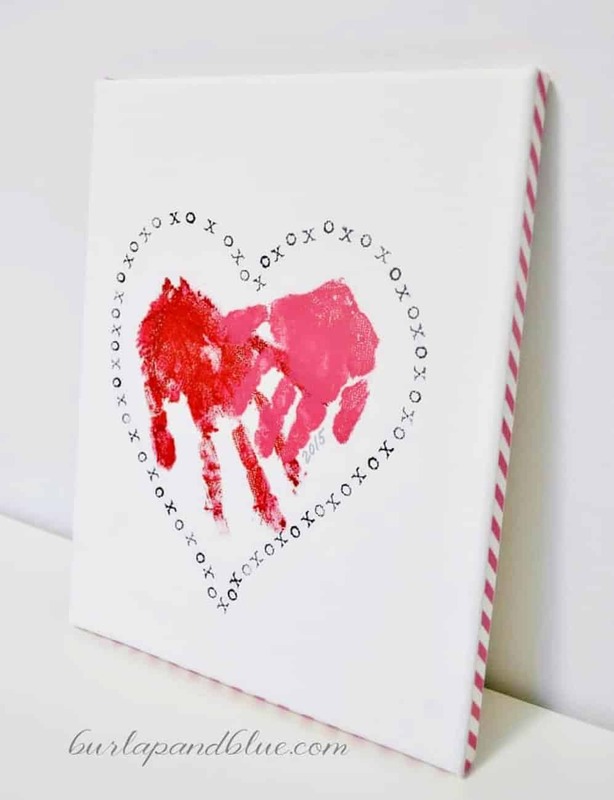 One of my favorite Valentine crafts for kids! The author of these Wagon Wheel lace heart decorations called it an “imperfect craft” but I think they're unique and beautiful! See how they made them here. 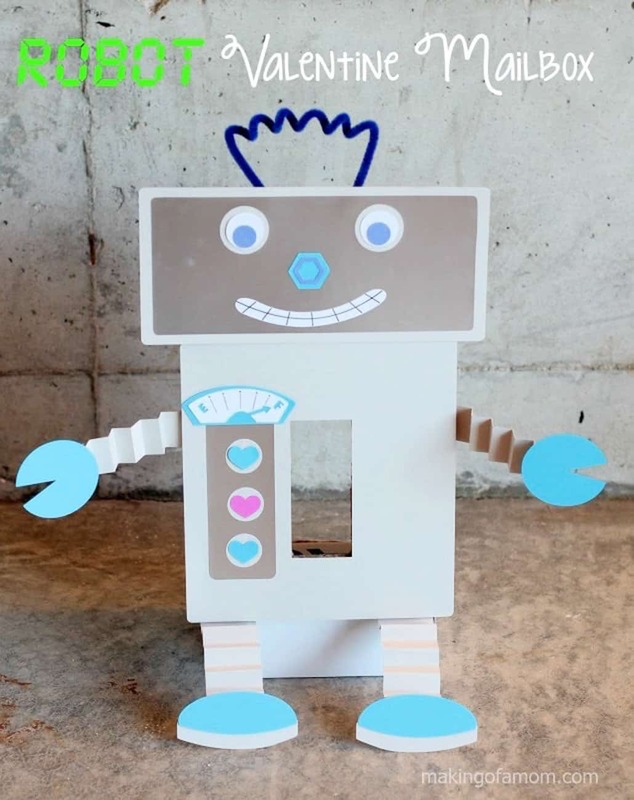 Your kids will love this project! 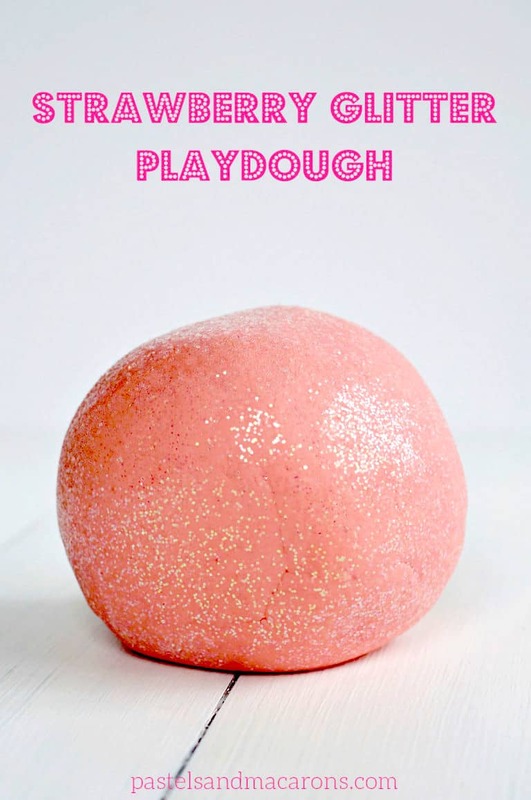 Strawberry Glitter Playdough from Pastels and Macarons is a fun sensory activity for all ages. 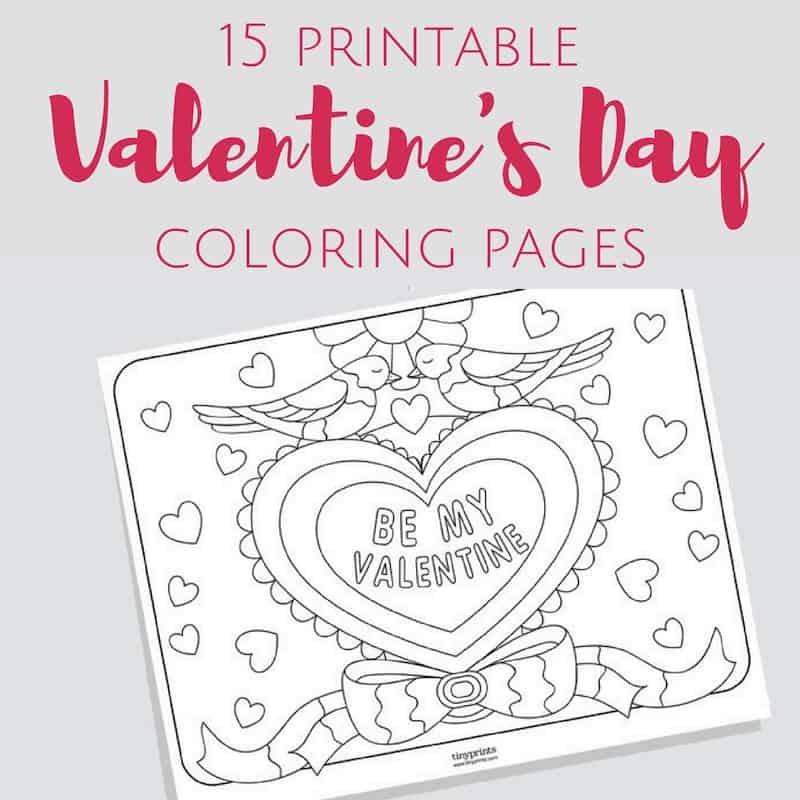 Check out these free printable Valentine's Day coloring pages for a sweet activity for kids! 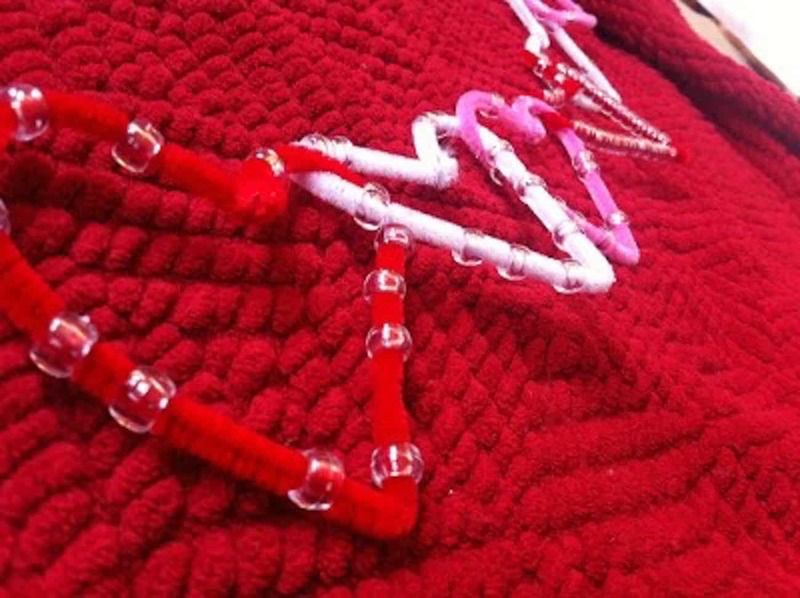 Combine a Valentine's Day craft with science in this fun and beautiful crystals project! Get the instructions here. 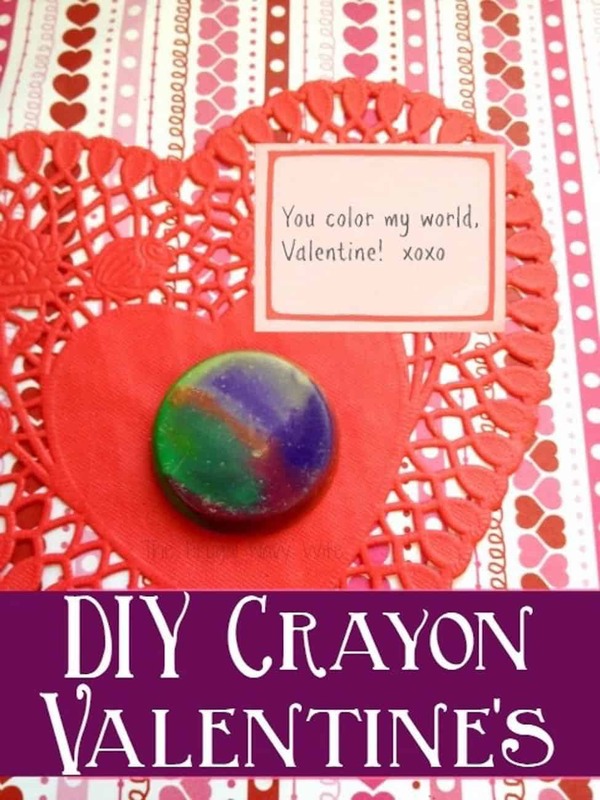 Recycle used crayons and do one of the most fun Valentine crafts for kids when you make these DIY crayon valentines. Instructions here. What kid wouldn't love making their own heart-themed robot Valentine box? Instructions here. 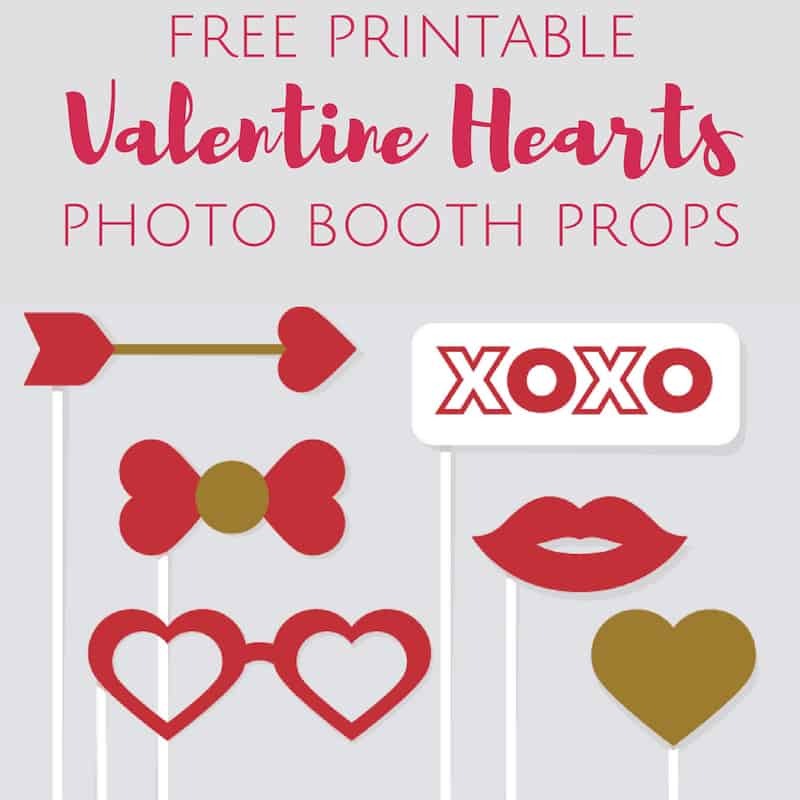 Get these free Valentine's Day photo booth props. 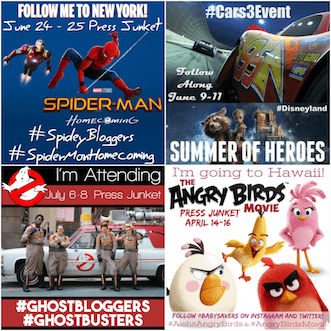 You can print them in color or use the templates to cut them out on any paper you want. You could also have kids color and decorate them in their own unique ways! 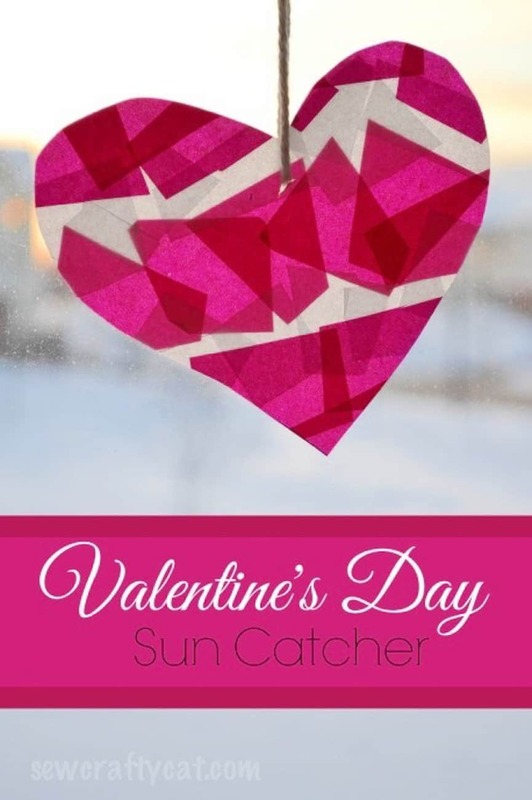 This Valentine's Day sun catcher will be a beautiful addition to any room! Get the instructions here. I love how beautiful this DIY Vintage Heart Shirt turned out. I also love how simple it is! Read the instructions here. Share some cheesy snacks with these Valentine's Day Mini Cheese Ball Love Bugs. Learn how to make them here. 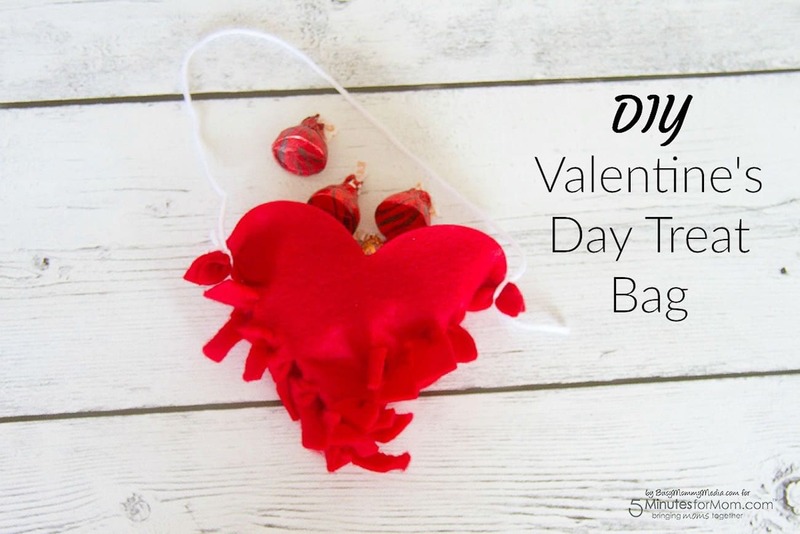 Kids can bring their little Valentine Gifts for friends in this DIY heart treat bag. Instructions here. 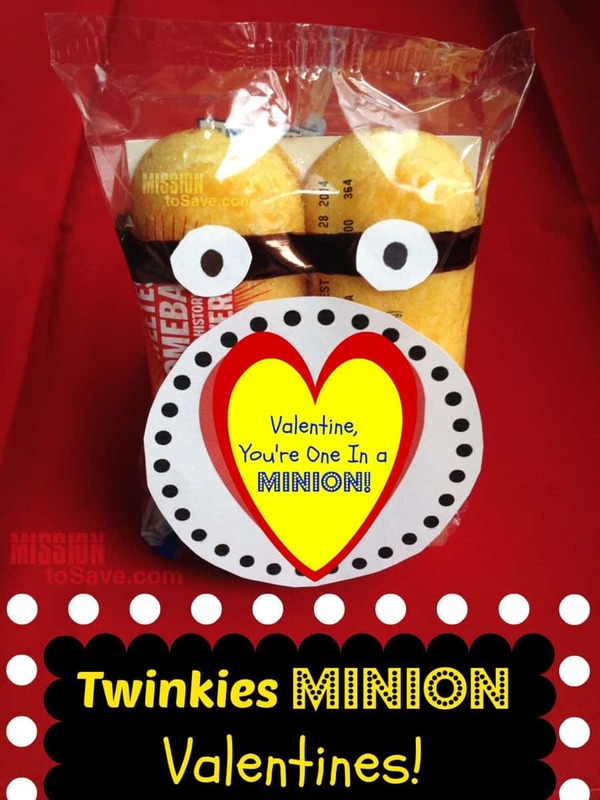 It's so creative to turn Twinkies into Minion valentines! See how it was done here. 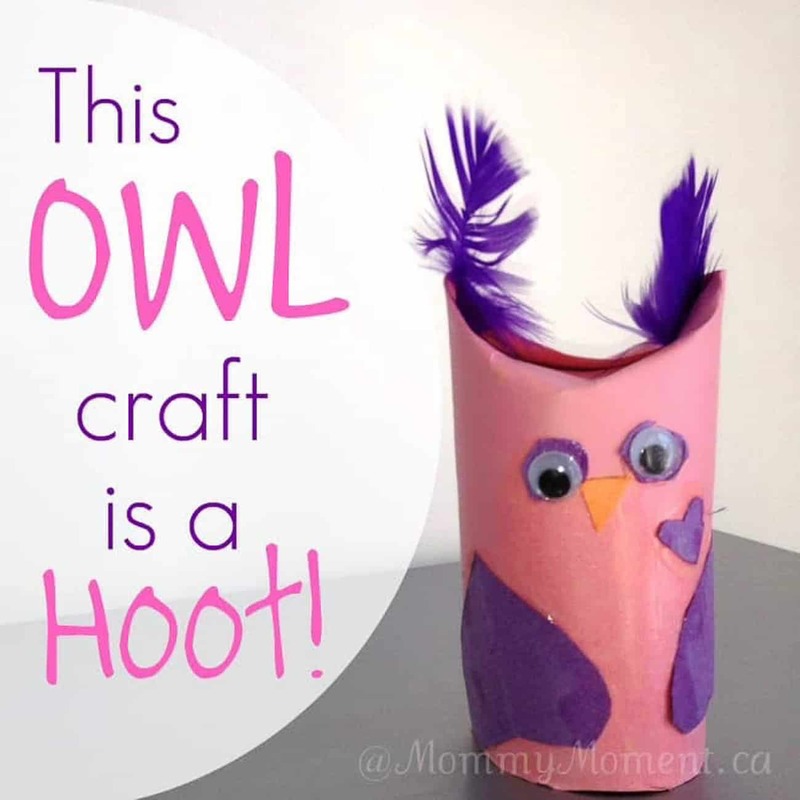 Isn't this Valentine's Day owl craft a hoot? Get the instructions here. 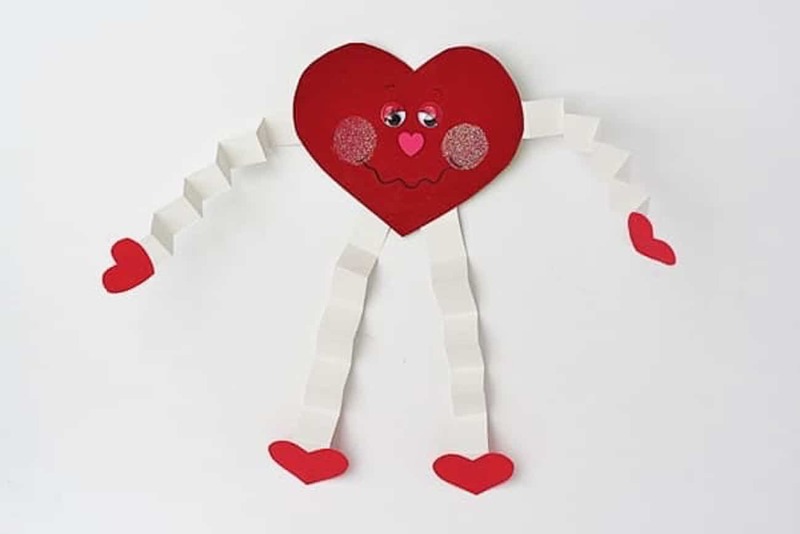 This Guy is such a classic Valentine craft for kids – I'm pretty sure I remember making one on my own when I was in elementary school! Here's how to make them. If you have leftover cups from a party you can use them to make these adorable love bugs. I love the details in the back! Instructions can be found here. 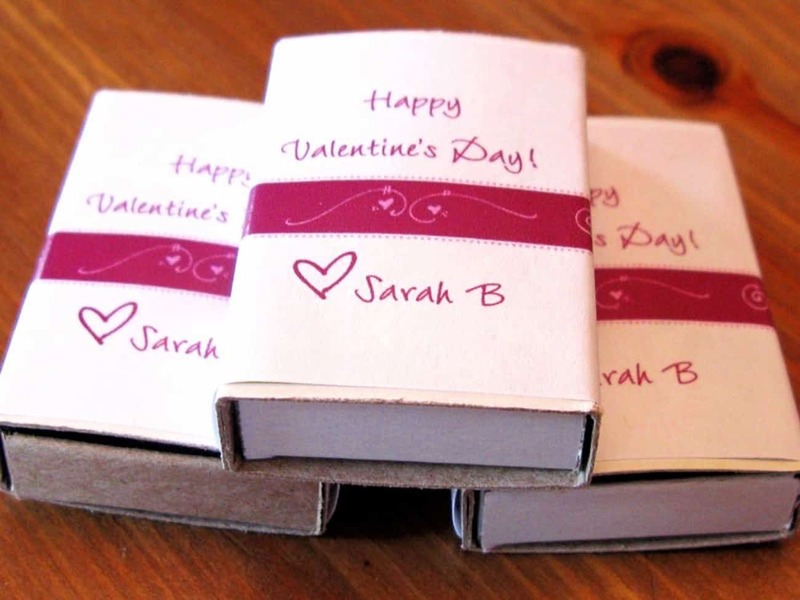 These matchbox valentines are fun and flexible – kids can fill them up with anything they want! 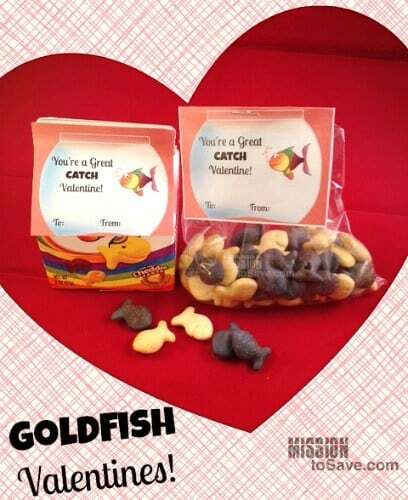 Who doesn't love Goldfish? 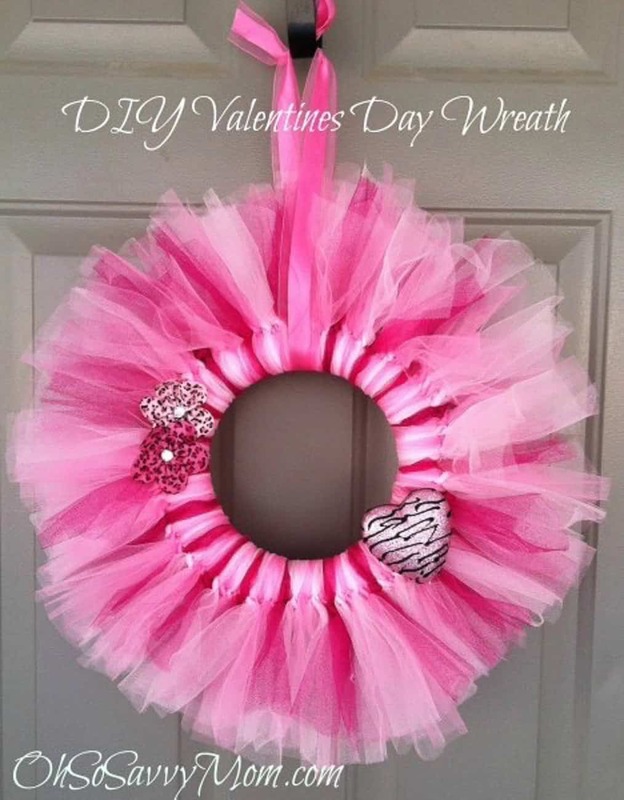 What a great Valentine's Day project for kids! Here are the instructions. 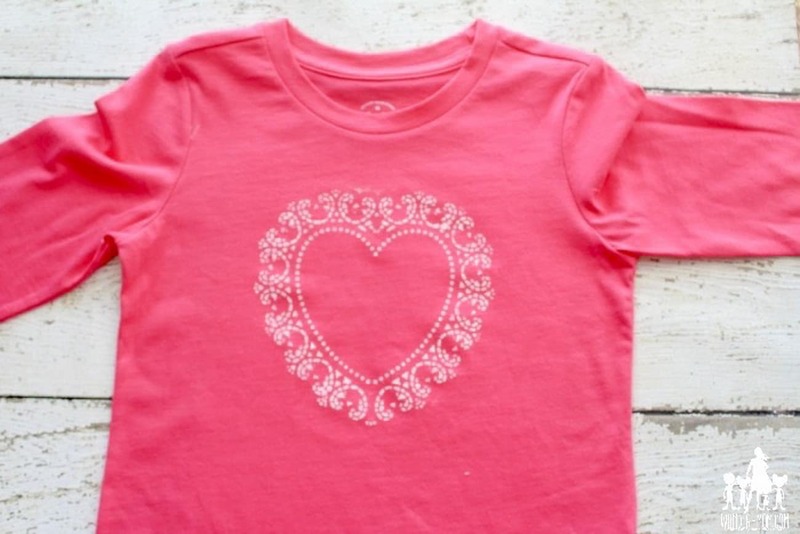 Did you find any Valentine crafts for kids that you're excited to make? I still have a few on my list for my own kids to make!